.... not every personal situation fits neatly with the tax laws as they stand. Sometimes, an individual may need help understanding and meeting their tax obligations. In such circumstances, private rulings are one form of ATO advice that you can access. Under the tax law, you can apply for a private ruling about the value of an asset, such as an item of plant. Particularly under capital gains tax, there are a number of instances where a valuation may be necessary. You can however withdraw your application for a private ruling if you do not want to proceed with, or pay the cost of, the valuation, which will be confirmed in writing by the ATO. If however the valuation work has already started, it will generally be required that you pay for the work already undertaken. 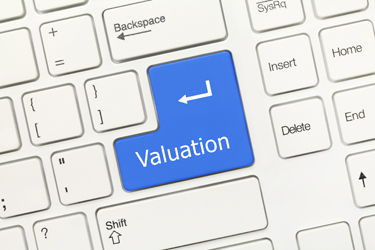 If you provide the ATO with a valuation that meets the requirements set out in the ATO guidance Market valuation for tax purposes, it will generally cost less to confirm it than to undertake a new valuation. • ask the ATO to provide the valuation. The receipt the ATO issues is also a tax invoice – and note that you may be able to claim the GST included in the valuer’s fee as a GST credit. Also note that as the cost of the valuation work is considered to be a cost of managing your tax affairs, it may be deductible for income tax purposes.